MECHANICVILLE- March 1st marks the 28th year that Ted Cervini has owned Bubbles Restaurant. He purchased bubles in 1985. Cervini said that he has enjoyed serving he residents of Mechanicville and the surrounding area. Ted looks forward to owning Bubbles for many more years. The restaurant was established in 1955. 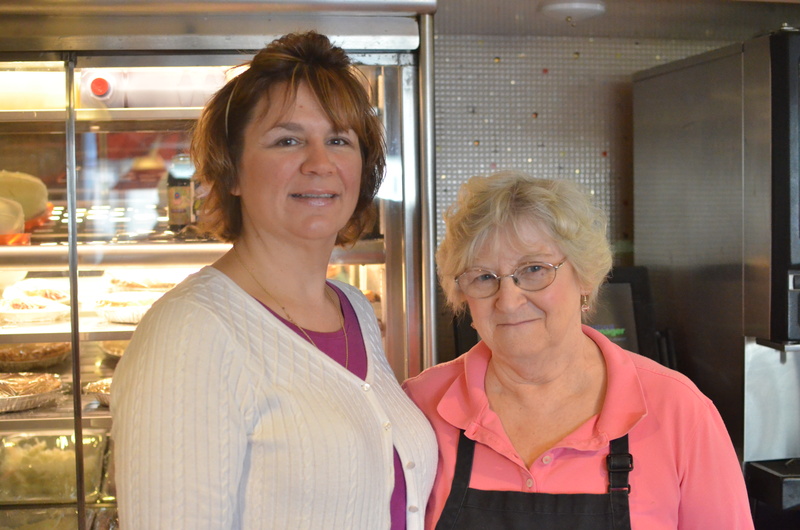 Two mainstayes of Bubbles have been the the smiling personable waitresses, Pat Jones and Tammy Hatalsky. © Cindy L. Mahoney and The Express Newspaper, 2014. Unauthorized use and/or duplication of this material without express and written permission from this blog’s author and/or owner is strictly prohibited. Excerpts and links may be used, provided that full and clear credit is given to Cindy L. Mahoney and The Express Newspaper with appropriate and specific direction to the original content.